Many vacation homeowners as well as primary residence homeowners are intrigued by the prospect of entering the world of vacation rental ownership. The idea of developing a new revenue stream and offsetting mortgage and home maintenance costs is quite attractive. To determine if this is viable for you and your home, we have come up with the five pillars of successful vacation rental management. 1. Location, Location, Location. We’ve all heard this before, but what does it truly mean? Your home may be lovely, but the marketability of it as a vacation rental is completely dependent upon the desirability of its location. You can check for listings in your area on HomeAway, VRBO , Airbnb, TripAdvisor, etc. Seeing full calendars is a good sign that you too can enter the vacation rental management business. 2. Proximity to Amenities & Attractions. Unfortunately just being in a fantastic resort destination isn’t good enough. If you’re near hiking trails, the Biltmore Estate, the Blue Ridge Parkway, downtown Asheville/Hendersonville/Brevard as well as a host of other local events and venues. Proximity to the main draw of the area directly correlates to both the rental rate and the number of nights booked. 3. Wow Factor. To secure bookings, your home needs to stand out from other listings. It needs to show well, look well maintained and have a wow factor. Photos are one of the most in influential factors in generating leads. They have the power to mesmerize and inspire action so we highly recommend hiring a professional photographer to bring the experience of vacationing in your home to life. We have an experienced professional photographer as part of our team. 4. Expert Sales & Marketing. This is a highly competitive and complex business that requires vacation rental marketing and sales expertise. A savvy digital marketing campaign will ensure your vacation home is broadly marketed, well positioned and priced competitively to drive qualified leads. An experienced sales expert will be responsive, educated on the latest trends in vacation rentals and use a consultative sales approach to secure bookings. The rental landscape is ever shifting and vacation rental management pros know they must optimize their efforts regularly to maximize revenue. 5. Rave Reviews. At the end of the day, it all boils down to the guest’s experience. Therefore it is crucial that you hire reliable, service-oriented professionals for your vacation rental business. Delivering an exceptional vacation experience every time will earn you the reward of great online reviews and positive word-of-mouth, the most influential form of marketing for those in vacation rental management. However, even if you deliver an exceptional experience, reviews don’t come automatically, you need a follow up process in place that we provide our client-owners. 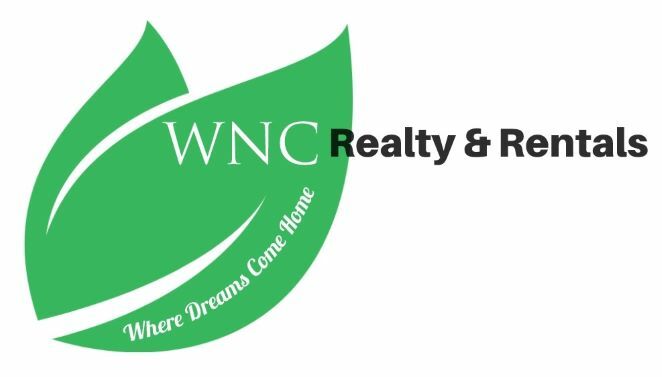 Why work with WNC Realty & Rentals? We are a local vacation rental management company representing mountain homes in Western North Carolina only. We’re passionate about creating exceptional vacation experiences for our guests and serving as a trusted partner to our client-owners. We manage each house as if it were our own. We rely on broadly based distribution and are continually watching the marketplace for new channels. We realize that dates on a calendar are a perishable asset and are strategic with rates and promotions. We respond quickly and professionally. We are a vacation rental management company that makes it easy for client-owners by being their single point of contact for comprehensive rental sales, marketing services as well as all of the maintenance needs of the property. As part of our vacation rental management services, we’ll manage the home’s calendar, rates and promotions, all listings, all sub agents/vendors and all reservations. We’ll work directly with local vendors and our in-house concierge to ensure a white glove guest experience. ● We earned well above average in gross rental revenue for our client-owners in 2017. ● We achieved high occupancy rate across our portfolio. ● According to HomeAway’s Fall Report owners spend an average of 19.6 hours per week managing their properties. ● We take pride in managing everything related to generating rental revenue from strategic multi-channel marketing and cross selling within our customer base, to executing rental agreements and obtaining post-trip reviews. ● Turn your home over to vacation rental sales and marketing management professionals with a proven track record of results. ● Worry-free as your vacation home provides you with the passive income you desire. Still wondering about the viability of your home as a vacation rental? Give us a call. We are a vacation rental management company that has successfully been marketing a portfolio of mountain vacation homes since 2006. We can determine the revenue potential of your home, set you up for success with a custom sales and marketing program and help you secure those coveted reviews.